I've loved collecting images and telling stories since I was 10. I used to keep diaries of holidays and collect newspaper clippings. In the 38 years since I've tried all sorts of ways to record the memories (I might blog more about that another time.) But now I've found my niche. I love manipulating digital photos, scanned mementos and journaling in photoshop. And I love all the pretties that are out there to complement the colors of the photos or theme of my story. I love the whole online world of digital scrapping that has built up around the shops that sell these digital supplies and have made some special friends from all over the world! Over the last 6 months I've been very lucky to be on a number of teams for the designers of these pretties and have had so much fun using their products. I am currently on the Core Creative Team for twolittlepixels. 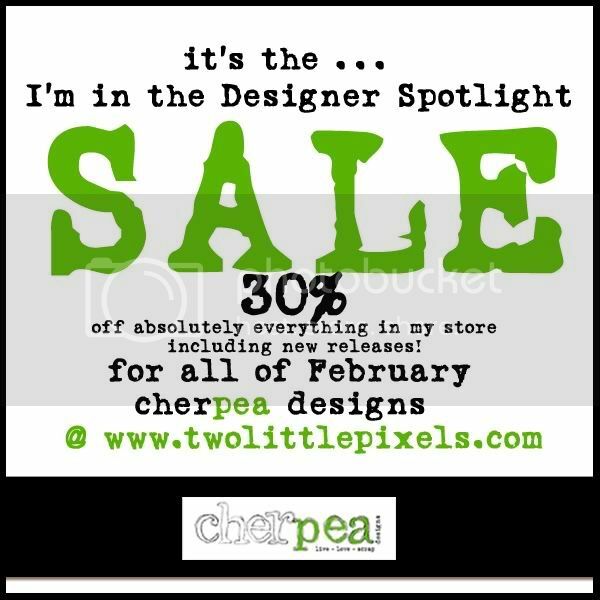 You might like to check out the designer of the month of February at twolittlepixels … the lovely Miss Cheryl. Head on over to her blog for some fun and did someone say a freebie? Paper and alpha from "I love my girls"
So if you'd like some of Cheryl's pretties, this is the month to get some! Oh ... what wonderful pages Esther!